Calgary is the largest city in Canada’s province of Alberta, located at the edge of the prairie where the Rockies foothills begin. Not only is it a gateway into the spectacular Rocky Mountains, but it offers numerous attractions and activities of its own. As the city covers a large swathe of land – nearly 319 square miles, larger than cities that have a much bigger population, in order to make the most of your time here, it’s best to do a little planning ahead. British Airways, WestJet, Air Transat and Air Canada all offer nonstop flights from London with a flying time of nine hours. 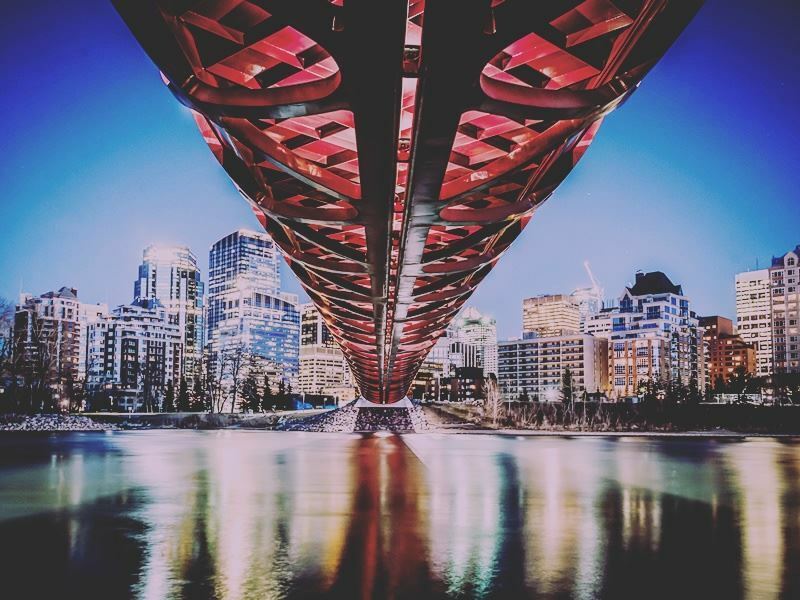 While there are no nonstop flights from Dublin, Ireland, Aer Lingus, Delta, Air Transat, Air Canada, British Airways and KLM, among others, all offer various routes for getting you to Calgary. 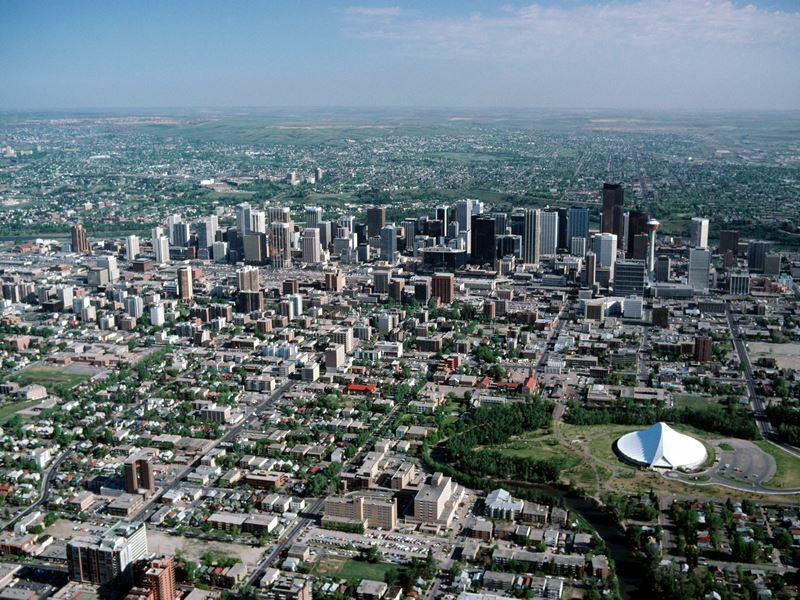 Flights land at Calgary International Airport, situated just 11 miles northeast of downtown Calgary. As with most large airports like this one, you’ll have multiple options for getting there. The easiest way to get from the airport to the city is to rent a car, with numerous car hire companies available onsite. That will also make it far easier to venture to popular destinations like Banff in the Colorado Rockies, although there are more options for that as well. Your next best bet is to take advantage of taxi or Uber service, though many downtown hotels offer complimentary shuttle buses which may take a bit longer but will save you quite a bit of cash. Bus transportation is available as well via Calgary Transit, with an estimated trip time of 35 to 45 minutes. 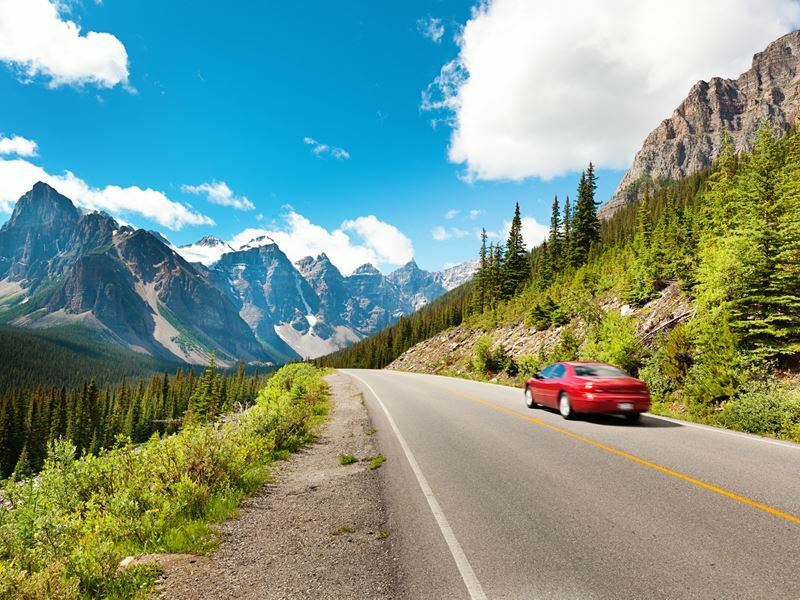 If you have a rental car it will take you about 85 minutes to cover the roughly 79 miles from Calgary to Banff. The Banff Airporter can get you there in about two hours, offering an extensive schedule with shuttles leaving the airport as early at 5:00 a.m., and as late as 10:30 p.m. Greyhound Bus service is the least expensive option, with a trip time of about an hour and 40 minutes. Calgary is easy to get around, offering multiple options to get you to where you want ago when it’s too far to walk. Driving in Calgary is typically a breeze, except during rush hour, when it’s usually gridlocked due to the city’s rapid growth in recent years. That means you may want to avoid the hours of 6:30 to 8:30 a.m. and about 3:30 to 6:30 p.m. if you don’t want to encounter it. Taxis are the easiest way to get around without a car, though they’re the most expensive option. 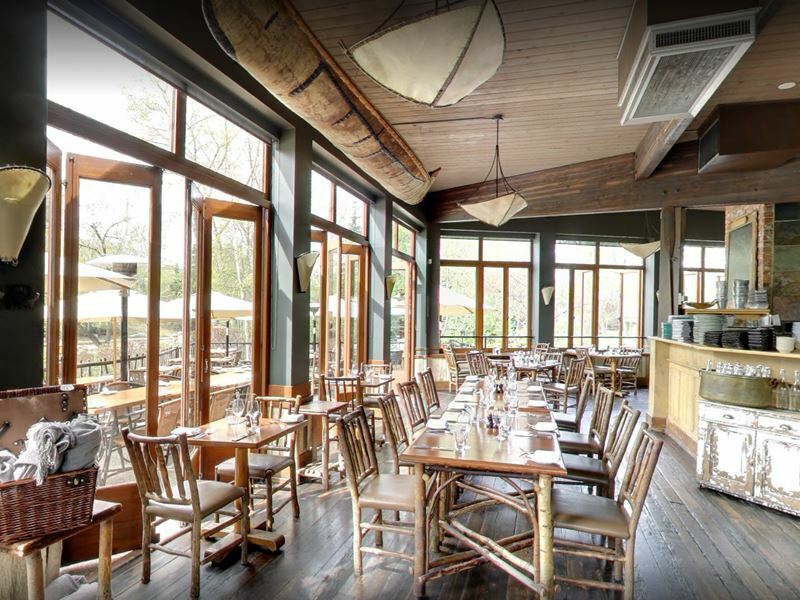 Most services offer mobile and online booking apps, and accept cash, credit or debit cards. As mentioned, Uber is also offered here, with rides requested through its mobile app, typically priced lower than taxi service. Either option provides door-to-door service, making it convenient if you’re travelling late at night or to areas that aren’t covered by late-night bus service or the C-Train. 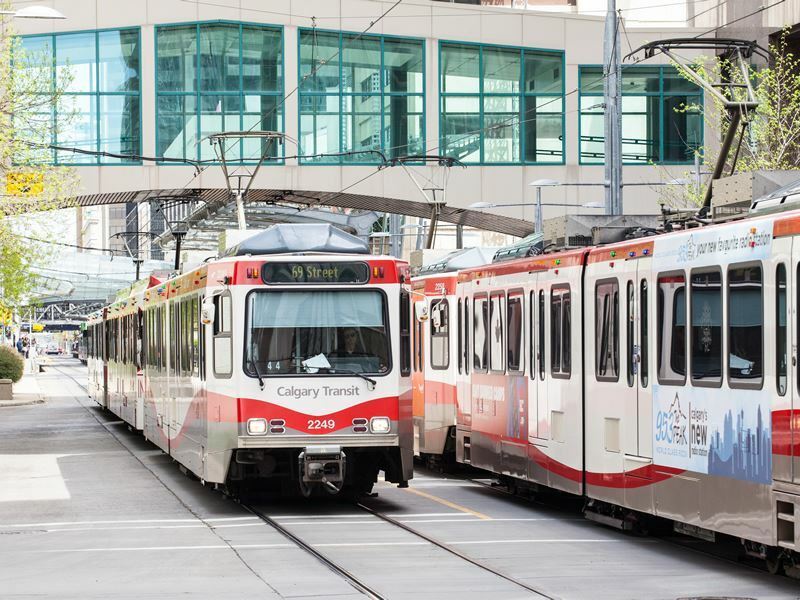 Calgary has a very good public transportation system that makes it easy to get to most destinations via the bus, train or a combination of both. The light rail transit system is called the C-Train which runs from 4 a.m. to 1 a.m. every day of the week, free in the downtown area along 7th Avenue between 10th Street SW and 3rd Street NW. As it’s not as extensive as similar systems in many other cities, you may have to use bus service to complete your journey. The bus network is made up of over 100 routes, allowing people to get to places that aren’t covered by the train. Most run at 15- to 30-minute intervals daily. 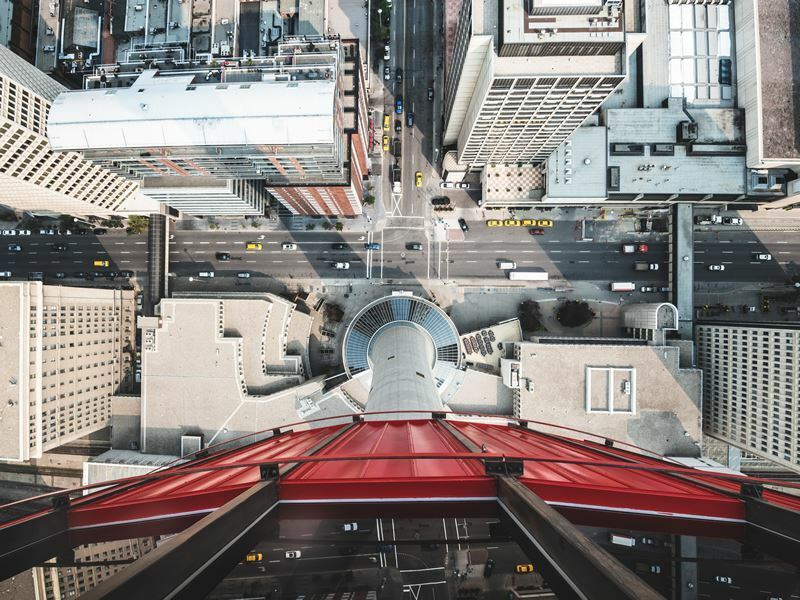 To make it easier to get around, get a perspective of the city from above by heading to the Calgary Tower. You’ll be whisked up in a 62-second trip to the top, and at nearly 4,029 feet above sea level, you’ll also get an incredible bird’s-eye view of Calgary and beyond. Afterwards you can enjoy a drink and some appetisers at the revolving SKY 360 restaurant. How to get there: Located at 101 9 Ave SW, Calgary Tower can be reached on foot, by car or the C-train. The tower is situated in the free fare zone and is served by the downtown C-train. 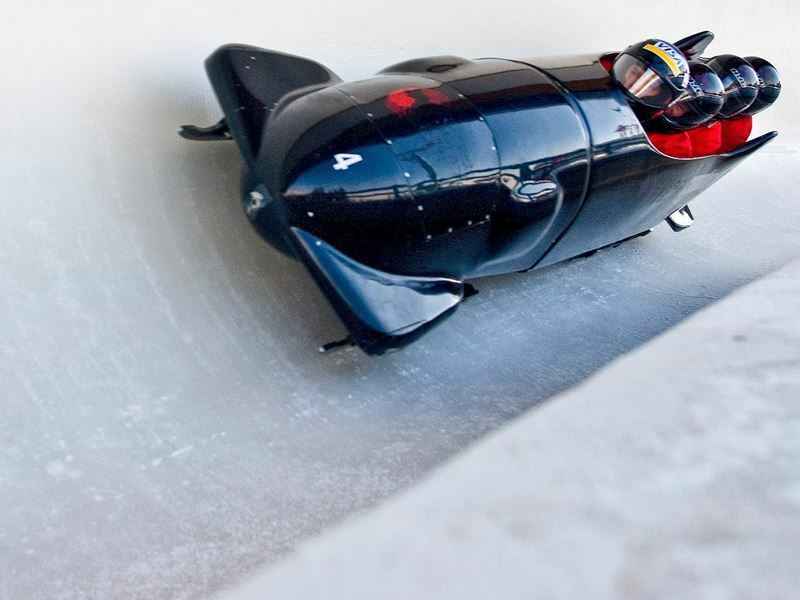 Built for the 1988 Winter Games in Calgary, Winsport is the place to feed your need for big thrills. While it’s fantastic in the winter, it’s also a must during the warmer months of the year as a multi-sport facility. It hosts the only bike park in the province, with lift access to downhill trails that offer something for every skill level, a wheeled luge called the Skyline Luge that will take you down a heart-pounding track, miniature golf, a zipline that travels down from the ski jump tower, a climbing wall and spider-web climbing structure for the little ones, public skating, Eurobungy for the thrill of bungy jumping without actually free-falling, and much more. How to get there: Winsport is situated in the southwest corner of Calgary near the city limits just south of the Trans-Canada Highway. If you don’t have a car, there is a direct bus route, 408 Valley Ridge, from downtown. To really get to know Calgary, find out about its early beginnings at Fort Calgary Historic Park. It holds the remains of the original mounted police stronghold, that up until the 1970s, was all buried underneath the growing city. Here you can step into the shoes of the western Mounties while exploring the fort’s remains. 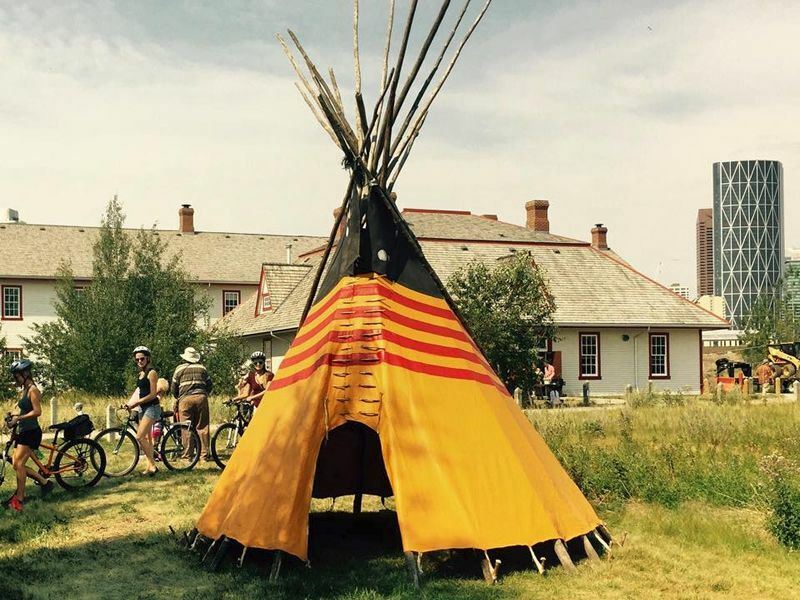 How to get there: Fort Calgary is just a 10-minute walk from downtown Calgary, situated at the confluence of the Elbow and Bow Rivers. The Scotiabank Saddledome, named for its saddle shape, is best-known as the home of the National Hockey League Calgary Flames, the 1989 Stanley Cup champion, but it also hosts the Western Hockey League’s Calgary Hitmen and the National Lacrosse League’s Calgary Roughnecks. Catching a game is one of the best ways to enjoy an authentic Canadian experience, cheering on the home team with the local crowd. The Saddledome also hosts special events throughout the year, like rodeos and concerts, and, public tours of the arena are available during non-event days in June, July and August. How to get there: The arena is located at the southeast end of downtown, easily accessed by the Calgary Light Rail Transit system, although parking is available at the adjacent Stampede Park. Stampede Park is made up of multiple venues that host a variety of events and concerts throughout the year, though it’s arguably most popular for hosting the 10-day Calgary Stampede in July. Pack those cowboy and cowgirl boots or buy some while you’re here and head to what’s billed as the “Greatest Outdoor Show On Earth,” to find out what the Wild West is all about. The event showcases cowboy culture and all things Wild West, including rodeos, chuckwagon races, concerts, First Nation Culture, a parade and more. 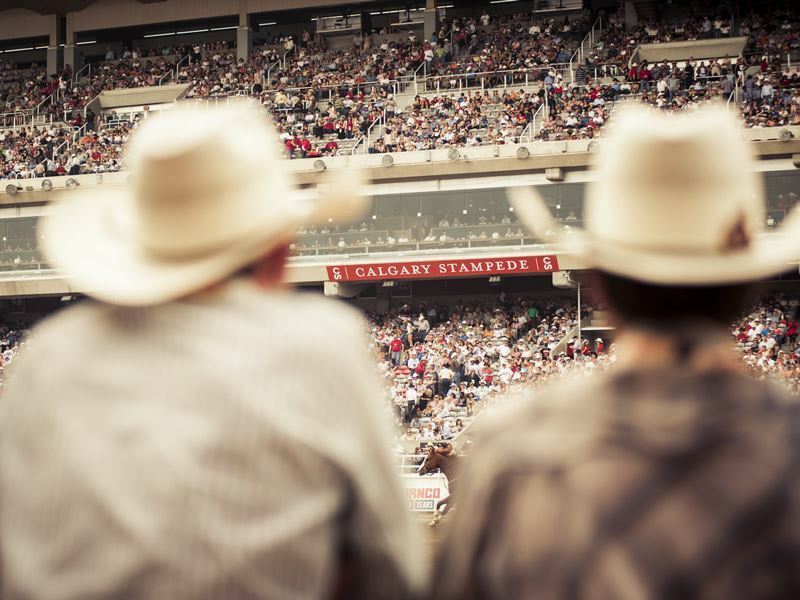 How to get there: Stampede Park can be found at the southeast end of downtown, adjacent to the Scotiabank Saddledome, also easily accessed by the Calgary Light Rail Transit system, with parking available onsite for those who plan to drive. The largest living history museum in all of Canada showcases over 200 exhibits across natural parklands, allowing visitors to experience life in the region from the 1860s through 1950. It includes an 1860s Fur Trading Fort and First Nations Encampment, a Pre-Railway settlement, and an early 1900s living historic village. Check out the authentic steam train, visit a blacksmith shop, see a working printing press and step inside old-fashioned ice cream parlor and bakery. At the Games of Amusement, you’ll see carnival games that were popular around the turn-of-the-century, based on the booths at Winnipeg’s River Park used around 1909. How to get there: Heritage Park is located 20 minutes from downtown Calgary, with parking available on site. It can also be reached via public transportation by taking the shuttle bus from the Heritage Light Rail Transit Station. Calgary’s shopping scene has exploded in recent years, with lots of walkable shopping districts to explore, from chic fashion retailers to unique boutiques and everything in between. The downtown area features multiple shopping centres and thousands of individual businesses in a 120-block area. 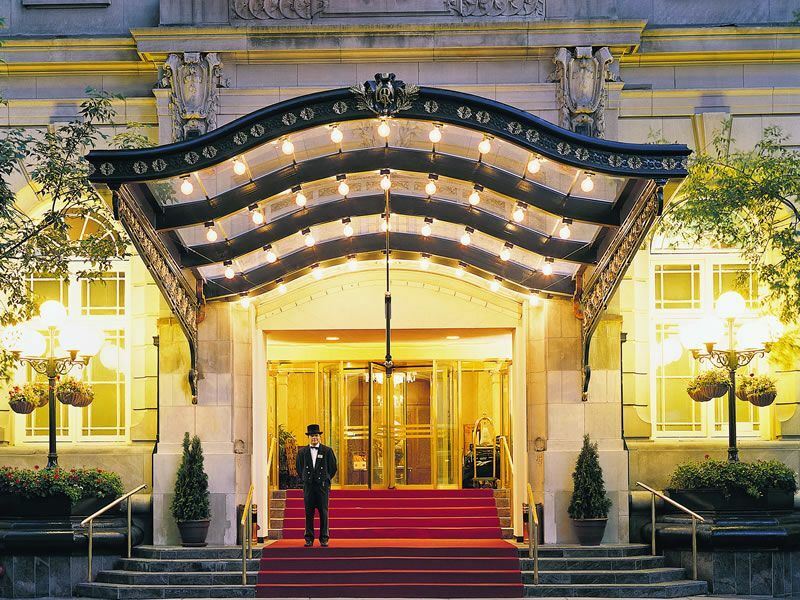 As a thriving hub of international commerce, you’ll find a wide range of accommodation options, including plenty of luxury options, with everything from historic classics to newer, sleek modern hotels.